"I am so happy I made it. Yes, the Filipino brand can." 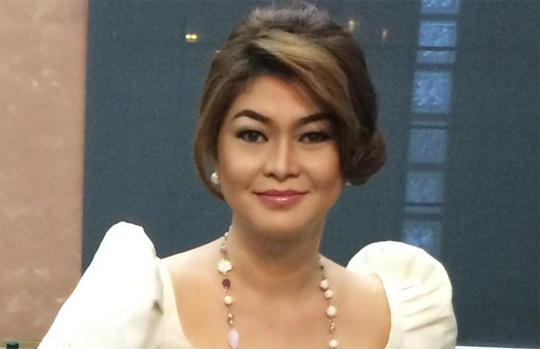 A Laguna-based entrepreneur who formulated rice bran-based health and beauty products became the first Filipino woman to win the Asia Pacific Women Entrepreneur Award conferred by the Confederation of Asia Pacific Chambers of Commerce and Industry at Carigan Palace, Kempinski, Istanbul, Turkey. The Philippine Chamber of Commerce and Industry congratulated Sherill Quintana, the founder and president of Oryspa Spa Solutions Inc., for winning the prestigious award. Quintana serves as PCCI’s Committee Chair for Women and Social Entrepreneurship. Quintana is a multi-awarded entrepreneur, educator and well-known in the country, particularly among micro, small and medium enterprises as mentor and advocate of the Filipino brand. Prior to her latest award, Quintana was named Outstanding Citizen of Los Baños 2017, while Oryspa was recognized as the ‘Most Promising Franchise’ at the 2015 Franchise Excellence Award. She also won the ‘Asean Business Awards for Excellence in Healthcare’ at the Asean Business Summit in Vientiane, Laos in 2016. Quintana, who obtained a degree in Sociology from the University of the Philippines, worked for the US Agency for International Development and World Wife Fund for Nature before establishing her business, with the support of her husband. “The selection process was very rigorous. The panel of judges was composed of business leaders from different countries. I am so happy I made it. Yes, the Filipino brand can,” Quintana said after winning. CACCI, a network of National Chambers of Commerce and Industry from 27 countries in Asia and the Western Pacific recognizes women entrepreneurs who are outstanding in entrepreneurial and leadership contribution to the social well-being of the local community, practice of good business ethics, and support of the chamber movement in the region. “I am a living witness as to how Sherill struggled in her early years as a start-up entrepreneur. I am one of her mentors and I am proud how she is reaping the fruits of her labor and hardwork. It is indeed a well-deserved win” PCCI president Ma. Alegria Limjoco said. Limjoco was with Quintana during the gala awards ceremony at the 32nd CACCI Conference on Nov. 24, 2018. 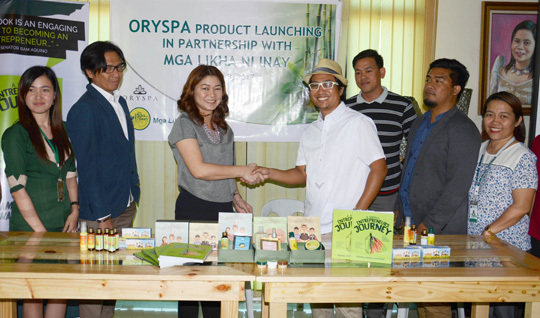 Oryspa Spa Solutions Inc. is the number 1 maker of 100-percent rice bran based spa products in the Philippines. 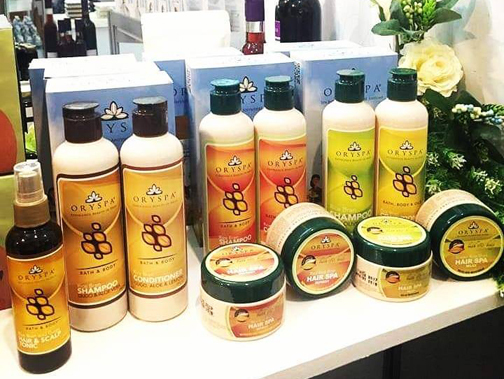 Quintana incorporated the health benefits of rice bran into personal care products such as shampoos, soaps, lotions, body scrubs under the Oryspa brand and launched the business in 2010. Oryspa opened its first stall in SM Calamba. Oryspa won the Asean Business Excellence Award in Healthcare 2016, Best in Social Responsibility Program and Most Outstanding Filipino Franchise of the Philippine Franchise Excellence Awards 2017. Quintana teams up with Card Mutually Reinforcing Institution to come up with a lotion and beauty oil out of turmeric. It inspires other MSMEs to level up, go mainstream and export their brands prompting its founder Quintana to launch the advocacy project ‘Yes The Filipino Brand Can’ and publish the book ‘A Small Entrepreneur’s Journey: How to Start, Survive, Succeed in 2016’.